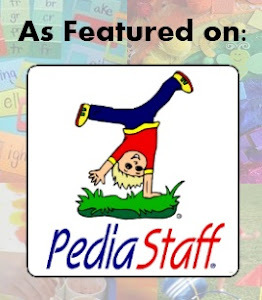 It's all about core vocabulary. That's pretty much all I talk about lately. I'm selling fast. Wheelin' and dealin'. Get on board. Time to get these kids communicating! 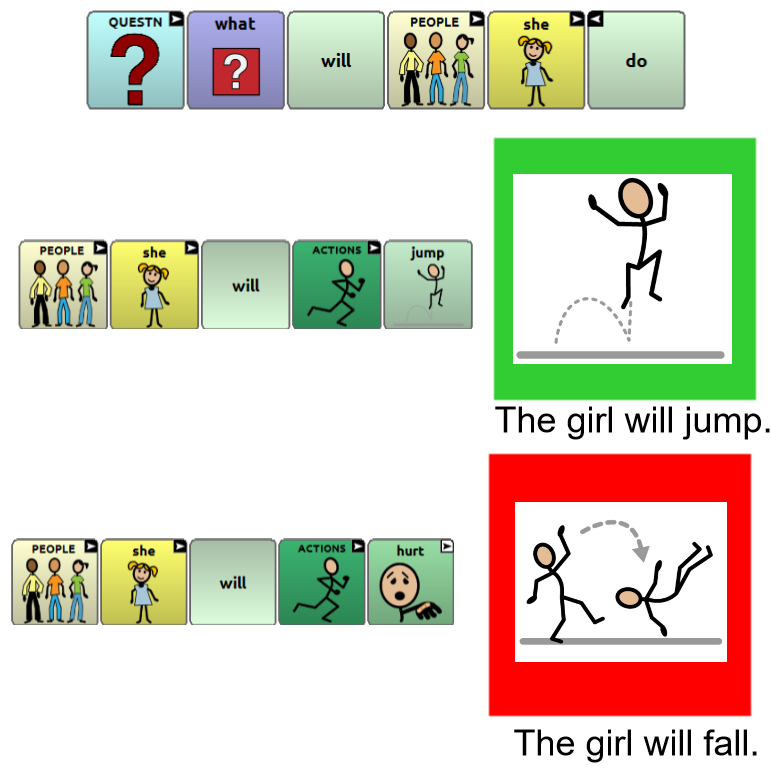 I don't care what app/software/device you have, I'm selling you on the idea to start utilizing core vocabulary. My day job only allows me so much time to work with the kids, so I'm constantly modeling and telling others how to incorporate the use of augmentative and alternative communication (AAC) in the classroom and at home. I'm always looking for ideas to create and to share. Many of the activities that I talk about can be done as a fun lesson in school or at home with the family. I was inspired by this activity when watching Ellen with my family after school one day. Ellen DeGeneres has a reoccurring segment called "Epic or Fail" in which the audience votes on whether a short video will be awesome (epic) or horrific (fail). Being the speech language pathologist that I am, I'm constantly observing how my own kids interact when participating in various activities. I listen to their language. I listen for their comments. And, the comments by my kids during this show were great. My thoughts immediately went to How we could use this with AAC with people of all ages? 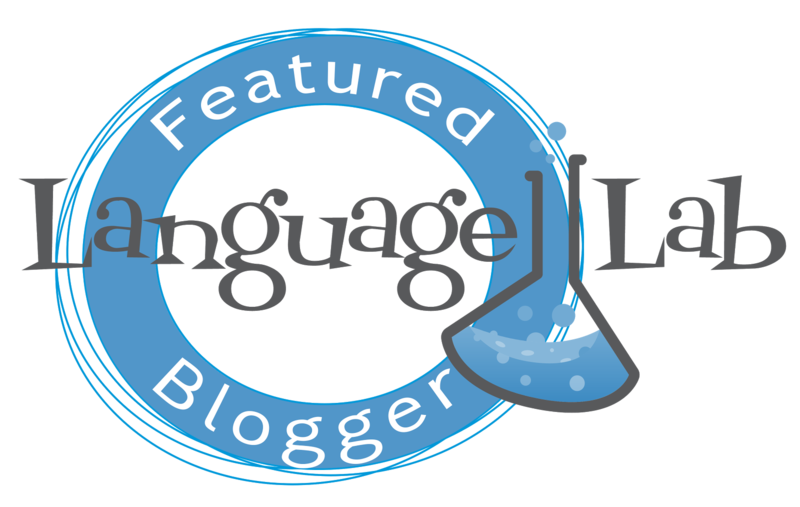 What core vocabulary could we use? What could we say during this activity? Could we describe? Could we ask questions? Could we make predictions? 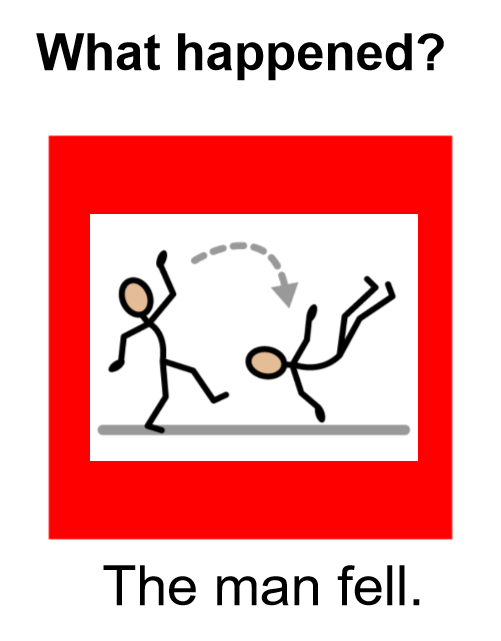 What expressions could we use when something was awesome or when someone got hurt? The nice thing about these video clips is that Ellen has cued them all up. So, for the most part, not a lot of research and preparation is needed for this activity. I went ahead and previewed about a dozen before I did the activity with my students. Create visual models. Using SMART Notebook (or any other program used for presentations), create a couple of visual models ahead of time. You could easily do paper versions of this. Any which way, you will need some sort of technology to show the videos. 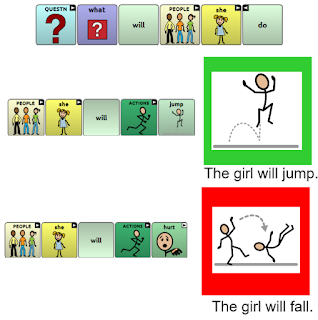 While my models were created with Chat Editor (by Saltillo), this activity can be done with a variety of AAC software. I have kids that use LAMP Words for Life, PRC Unity, NovaChat WordPower, Proloquo2Go, and GoTalk Now. Remember, using core vocabulary isn't exclusive to just one app. It's all about the modeling and repetition of the motor sequences to create utterances. I have kids that are at the one-word level and others at the sentence level. We coexist in our activities. Practice a couple of utterances. 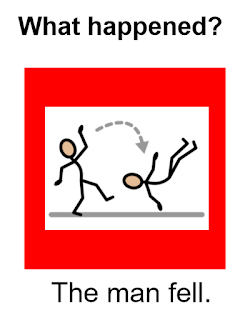 Explore the verbs (jump, fall, hit, run, swim, turn, hurt). Say a bunch of expressions (awesome, cool, ouch, no way). Describe what is happening in the video. Before Ellen shows the entire clip, she pauses for reflection. At this point I have the kids describe what they see, who they see, and what is happening. I use a Foke's Sentence Builder type of a model. The man is jumping. The girl is running. You can make it as simple as you'd like. It can be a one word response (run) or a multi-word, descriptive response (The man is jumping off of the roof). Model predictions. Ask the students what they think will happen? Have them ask each other or have them ask you back. He will hurt. She will win. The boy will jump. They will run. Wacky answers are always great. Remember to react and respond to any language that is produced. Decide if the video is EPIC or FAIL. We used good or bad. 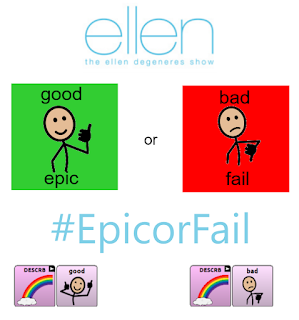 I paired epic/good and fail/bad. We even made makeshift paddles like Ellen has on her show, which turned out to be nice visual model. Use an expression after watching the video. That was funny. Cool. Very lucky. Oops. Uh oh. That was crazy. Bad. Are you kidding me? Dude! What?! Ouch! That has to hurt. Incredible. Yeah. Oh! Oh no! Shut up! Haha! Wow! You get the idea. Talk about what happened. What did he do? Talk about what happened. He ran. He hurt. She jumped. She made it. She laughed. You can even work on verb tense here too if you want. Even if kids are at different levels of communication, you can still find a way to comment. Repeat. There are usually about 5 videos per segment, but lucky for you, Ellen has done this bit quite a few times. Start thinking outside of the box. How could you make common activities interactive? Think about American Idol, Dancing with the Stars, The Price is Right, sporting events, or any other tv shows that have people talking. There are lots of natural opportunities to model and use core vocabulary. You just have to turn on the AAC device.